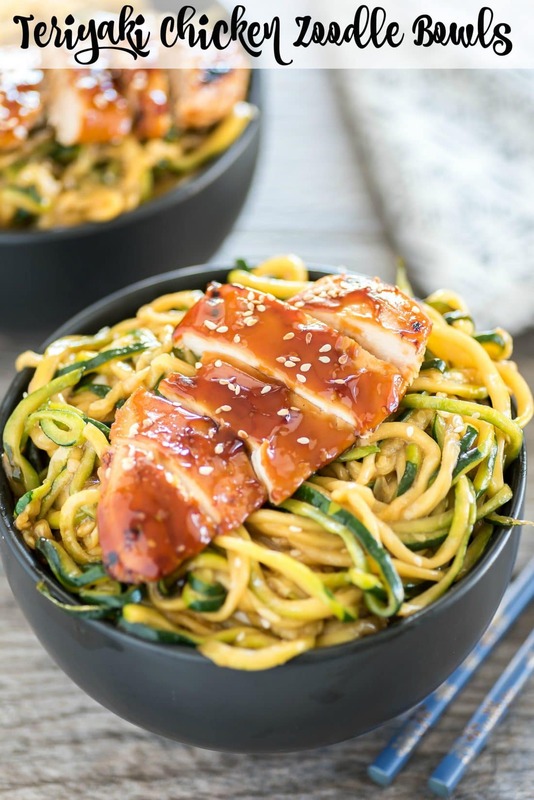 This teriyaki chicken zoodle bowl is made with a sweet honey teriyaki glaze on a bed of sauteed zoodles that will practically make your taste buds dance with joy. Yeah, I think we are past affair status, I think I’m getting pretty close to Fatal Attraction, Single White Female obsession with my zoodler at this point. Oh well, that’s good news for you. 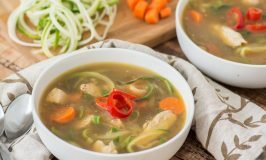 It means more zoodle recipes! Woohoo! 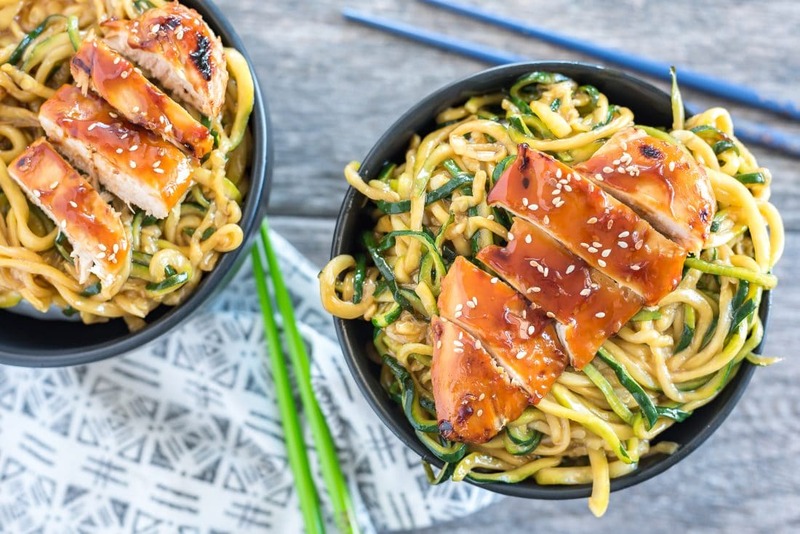 For today’s journey into zoodles, we are heading back into Asian territory with these delicious Teriyaki Chicken Zoodles. I know that I claimed it’s the best and that’s ’cause it kinda is. 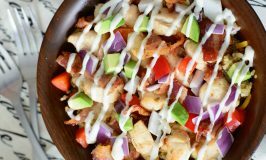 It’s made with a sweet honey teriyaki glaze that practically makes your tastebuds dance with joy. 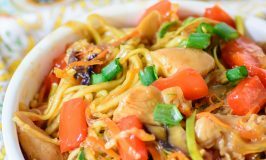 Add some grilled chicken and some beautifully spiraled noodles and it’s pretty damn close to perfection. You are going to love it. Seriously. 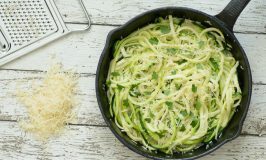 While zoodles are sitting combine Tamari, ginger, garlic, pineapple juice and honey. While that is heating up, mix together the water and arrowroot powder or cornstarch. Slowly add it to the saucepan, mixing as you go. You will need to increase the heat, but keep stirring, you don’t want it to clump. Keep stirring, until thickened (about 3-4 minutes). Heat up grill, liberally baste chicken breast with the sauce and grill until temperature reaches 165 degrees. 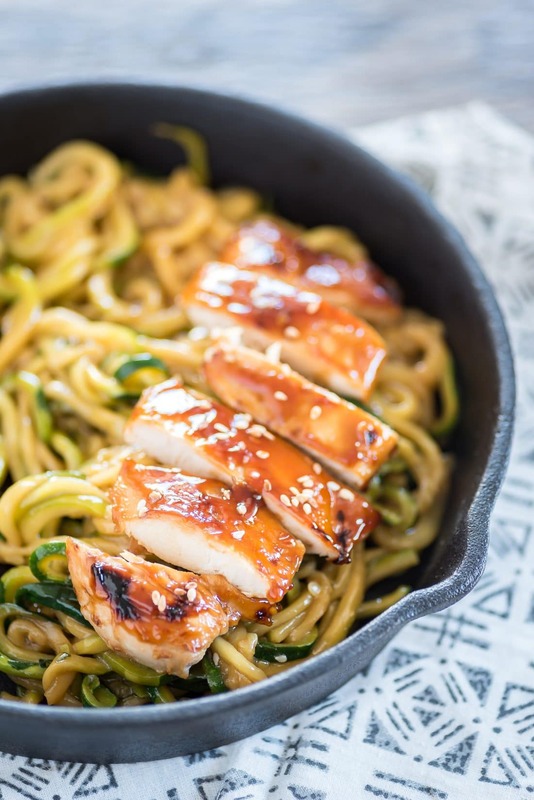 Heat 1 sesame oil in a skillet or pan over medium heat. 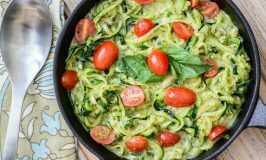 Add zoodles and continue to cook on medium heat stirring occasionally for about 5 minutes. 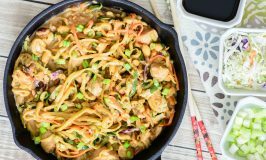 Add remaining teriyaki sauce to the skillet and simmer over medium low heat until chicken is done. That’s it! Hope you enjoy it as much as I do! Happy zoodling!